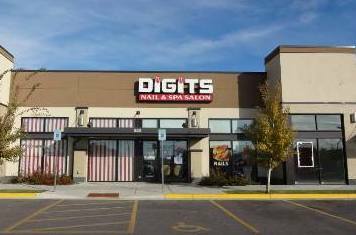 Congratulations, you've just found a popular nail salon and spa that has been in Billings since 1998. It is now in Shiloh Crossing, the revitalized west of billings, montana. 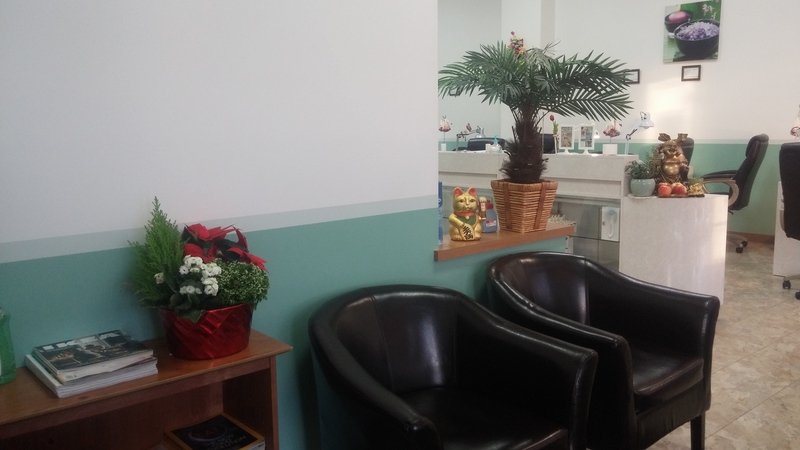 We have been consistently updating our services, techniques, and materials throughout the years. 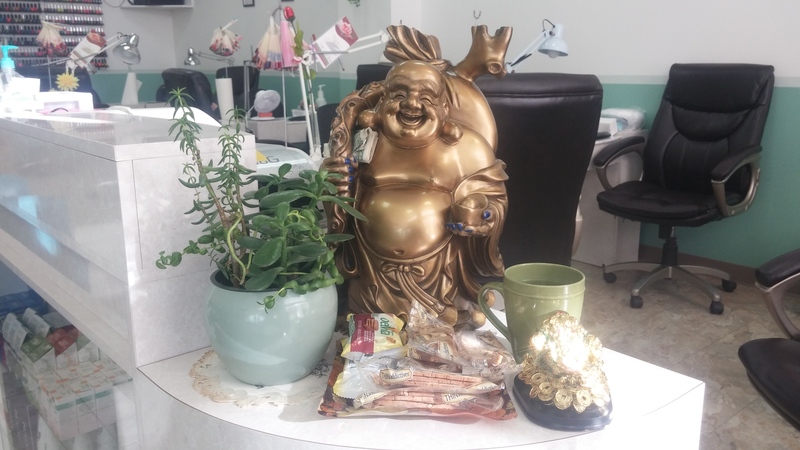 We are offering more natural products to help our clients' health and wellness. One of our most important principles is to have resonable prices and a safe and clean environment. These commitments have brought us a broad-based clientele. 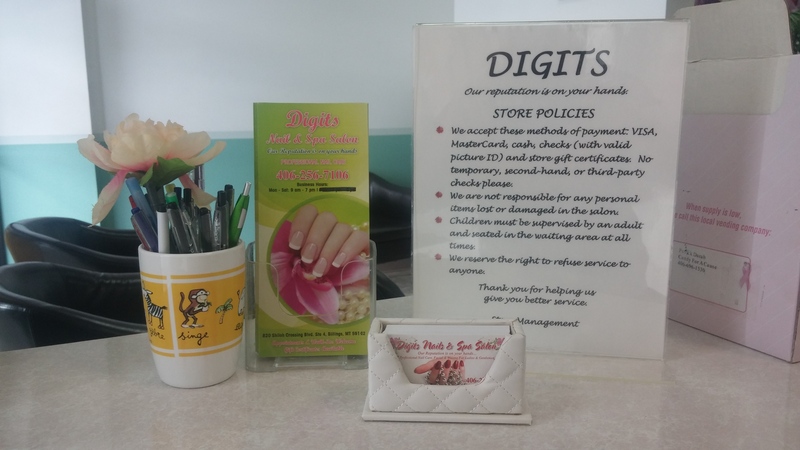 We serve people of all ages, and many come from other towns and states to get their nail and spa services. You can feel safe and relaxed as you put trust in our licensed and highly trained technnicians. These have been the most popular for decades. 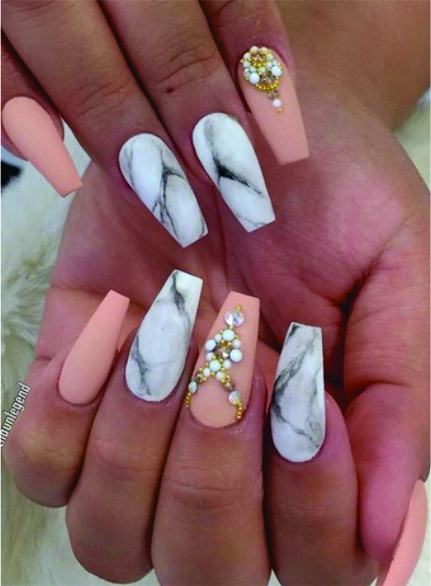 You can choose any kind of shape and length. These are up-to-date materials and techniques. 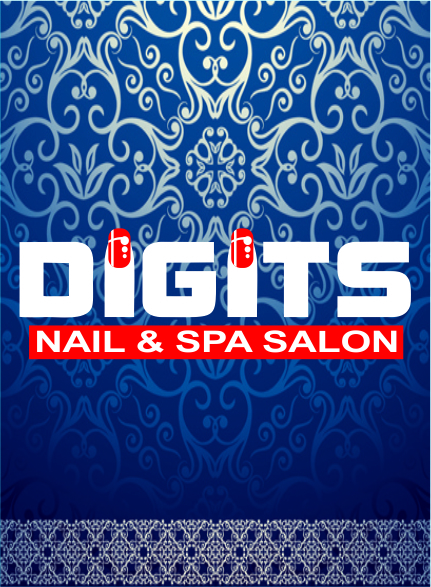 They cause no damage to your nail beds and are healthy for your real nails. This is a new technique that is primer-free, and is the first choice for people who are allergic to primer. 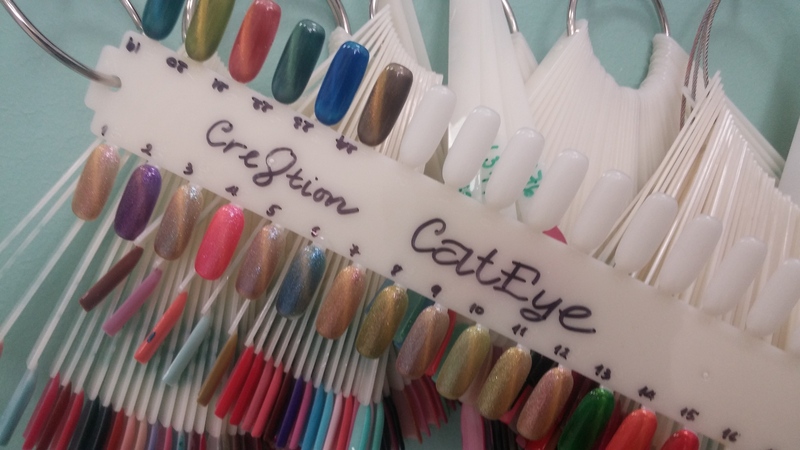 We bring to you over thousands of colors from regular to gel polish for your pampered hands. 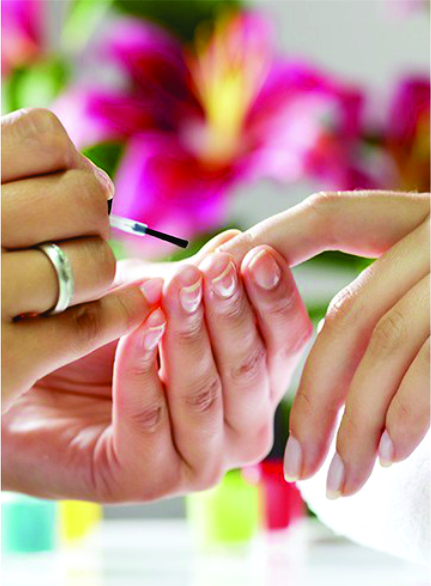 We are ready to help you get beautiful nails for special occasions or nails for simple daily activities. 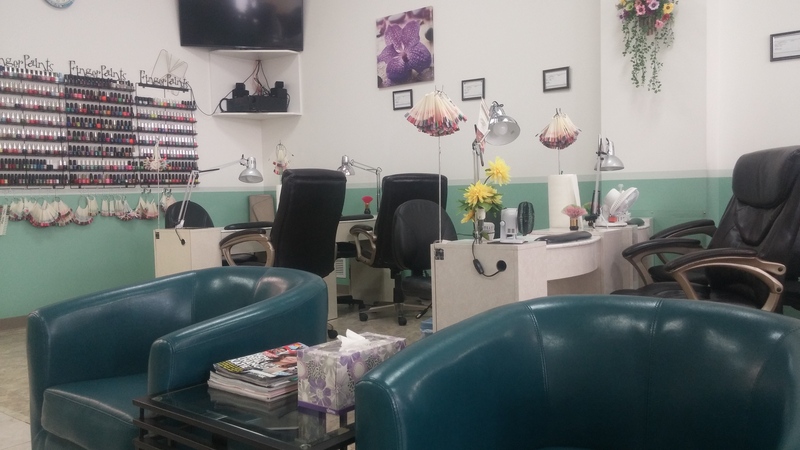 We offer many types of pedicure services and materials, including natural products. 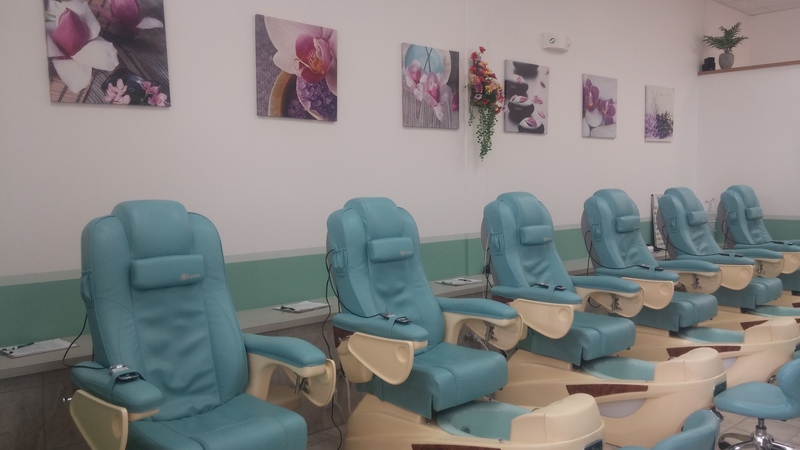 You can choose what you want depending on how you want to pamper yourself. 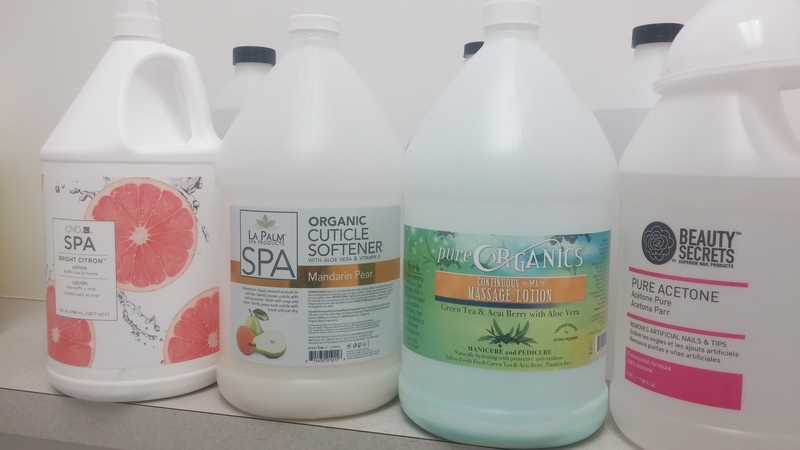 We provide a pedicure tub liner for each client, and by doing such, we prevent the possibility of bacteria transfer at all times. This will protect your feet and your overall health. 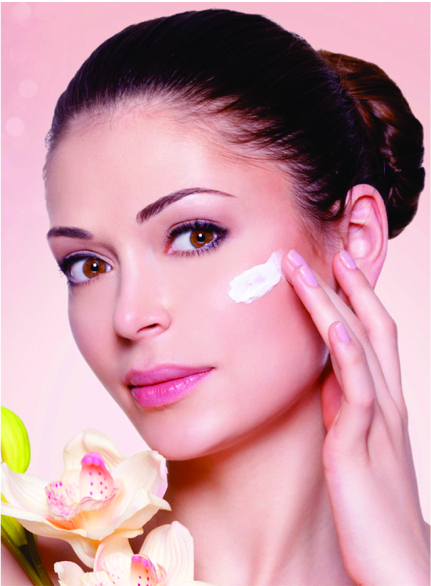 We wax faces and arms, and the most popular waxes are for lips and eyebrows.